On Saturdays in the Spring and Fall, women and girls ages 9-99 get together to connect with the ocean and learn to surf. 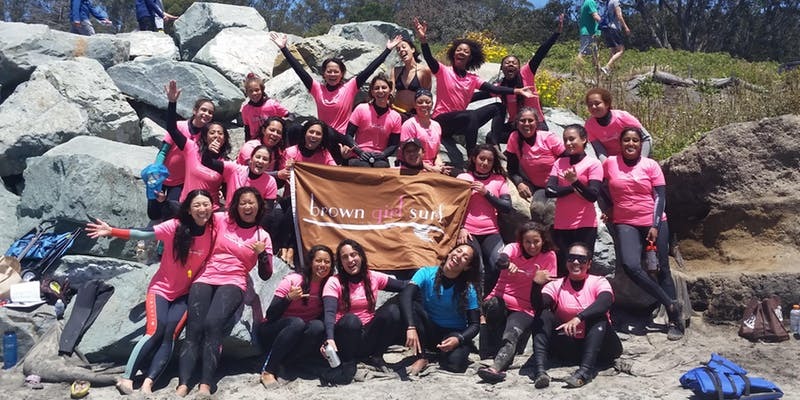 All equipment is provided and no experience is necessary as participants are welcomed into the Brown Girl Surf community. For beginners, Brown Girl Surf gently introduces you to all elements of surfing, from wetsuits, board safety, to learning how to be in the ocean, all in a supportive female-centered environment. Those who have surfed before can continue to work on their skills and enjoy the great community vibe. This fall, Brown Girl Surf will also be revamping their schedule to have more time in the water! If transportation is an issue, they can help you carpool from Oakland. Payment is due at the time of registration.